BMW owners tend to be some of the most devoted, passionate and engaging folks you’ll ever meet. By far. 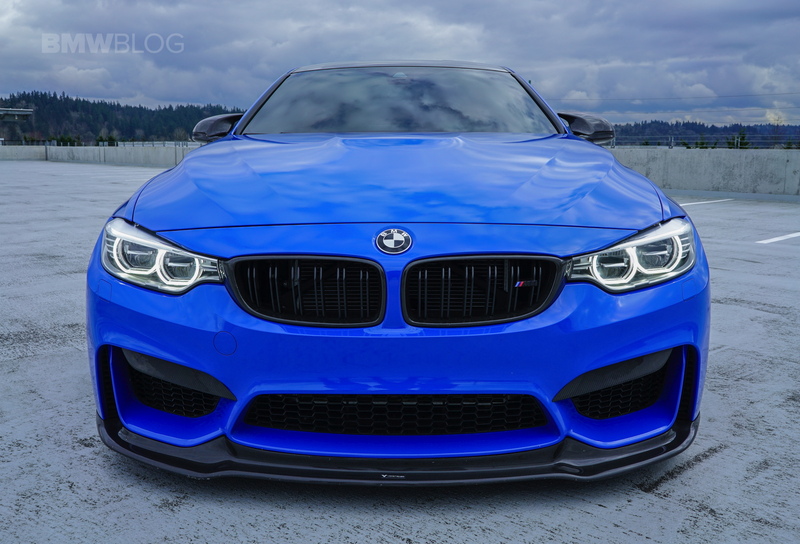 Recently I had the opportunity to sit down and chat with one such BMW enthusiast and showcase his ride in our special Owners Spotlight piece. 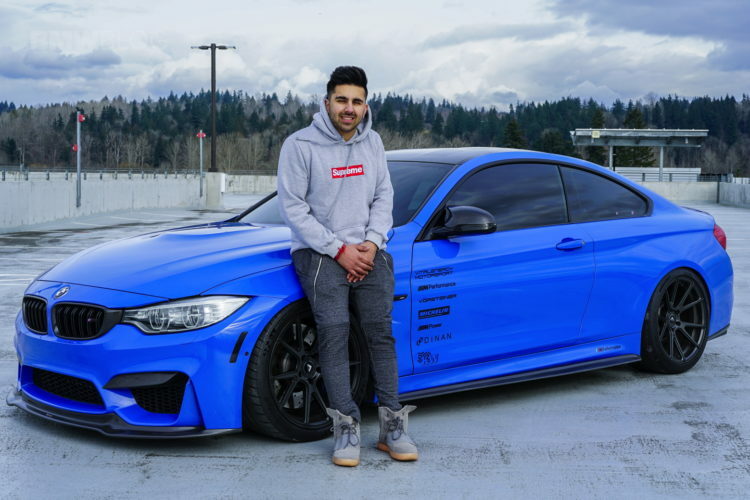 I first met Robby Chopra through a mutual friend (Andy Kim and his monster M3) and from the moment we sat down to talk about his car, it was clear that he was a BMW M fanatic, through and through. The amount of attention and care he has accorded his 2016 BMW DINAN M4 is the stuff of legend. 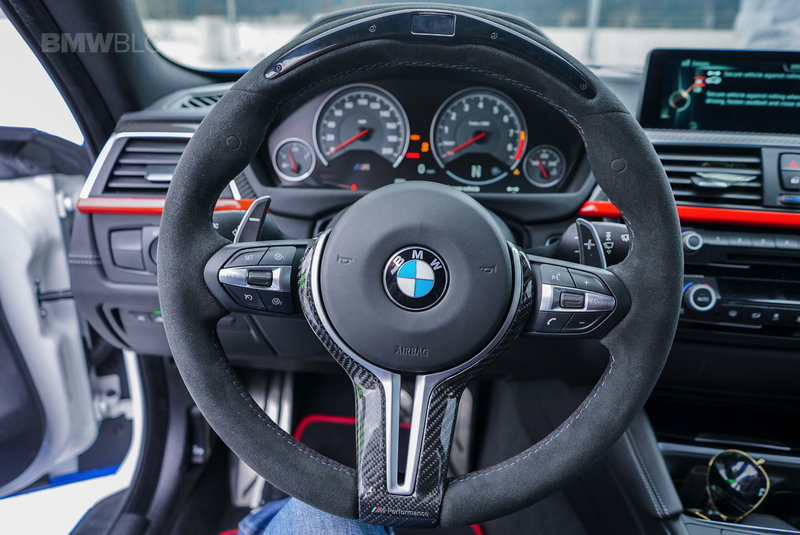 For instance, the fact that he always wears BMW M leather gloves when he drives, in order to protect the alcantara on the M Performance electronic steering wheel is a clear and obvious sign that he’s devoted to keeping his ride in as mint of a condition as possible. Sweat and alcantara do not mix well, and Robby knows it. So, it’s obvious that it was love at first sight for Robby, but it’s also obvious that his M4 has had some “work” done to it. For starters, the car was originally Alpine White from the factory. Robby decided he wanted to make it Santorini Blue instead, so he reached out to Vital Energy Motorsports and got it wrapped. Then, he went to town with the carbon fiber aero. 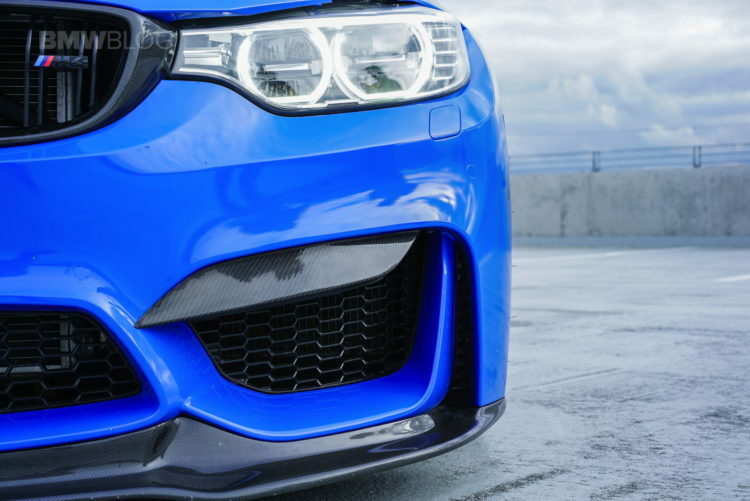 Vorsteiner front lip and rear diffusor. Check. 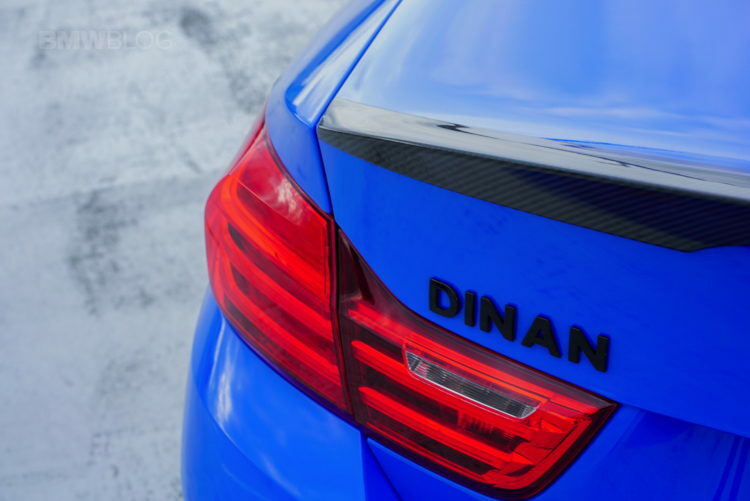 Dinmann carbon side skirts. Check. 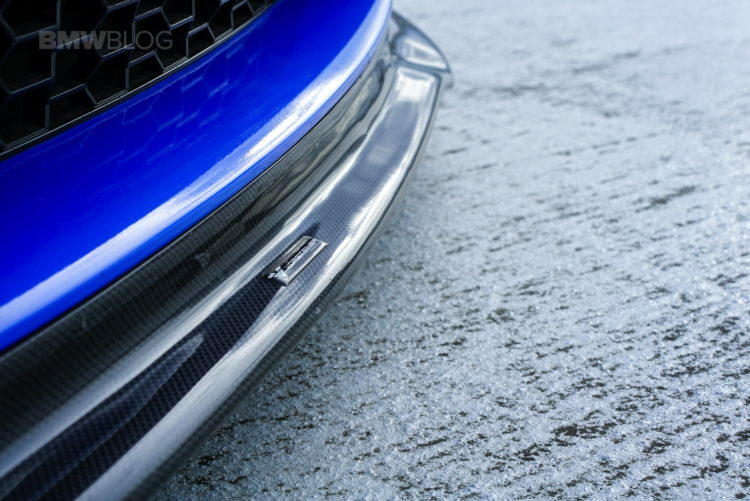 M Performance rear lip. Check. The man likes his carbon fiber! Next up, Robby focused on the car’s stance, so he swapped his stock coilovers with a set of V3’s from KW. Then, upgraded his factory wheels with a set of Vorsteiner Flow Forged VFF 106’s. 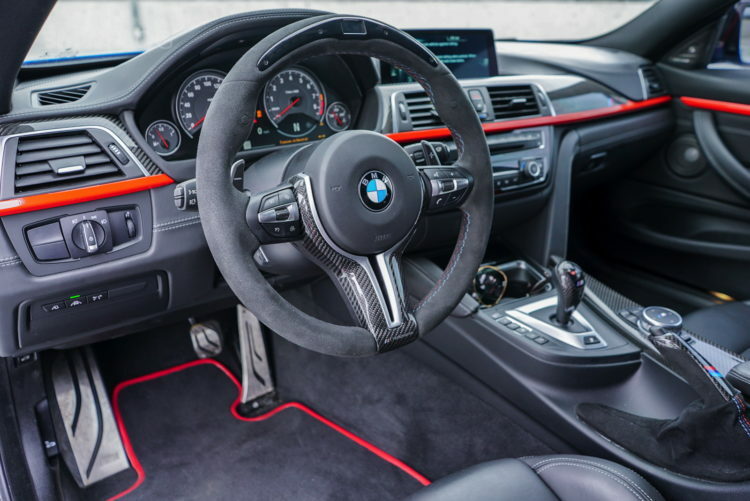 On to the interior – iND red seatbelts, floor mats and interior trim, plus the aforementioned alcantara M Performance electronic steering wheel. But Robby’s biggest focus, it would appear, is on performance. 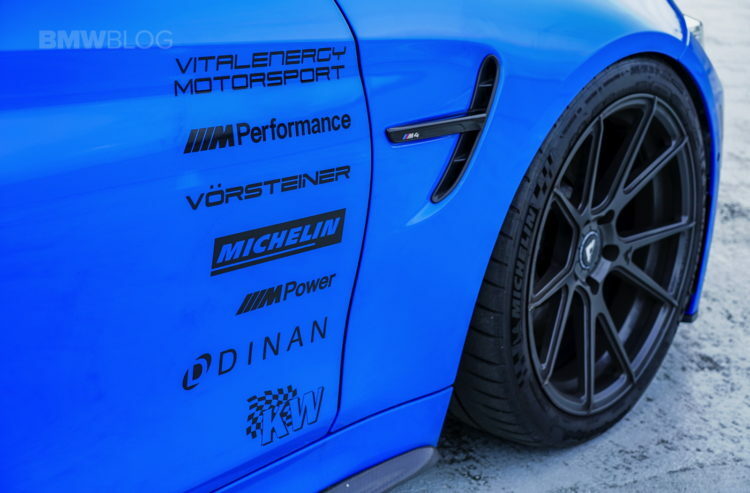 That’s why there’s a DINAN badge on the rear of his M4, and that badge is significant for many reasons. More on that later. First, for the uninitiated, DINAN was founded in 1979 by Steve Dinan. It’s a North American aftermarket performance parts company that designs, tests, and manufactures their own hardware and software. 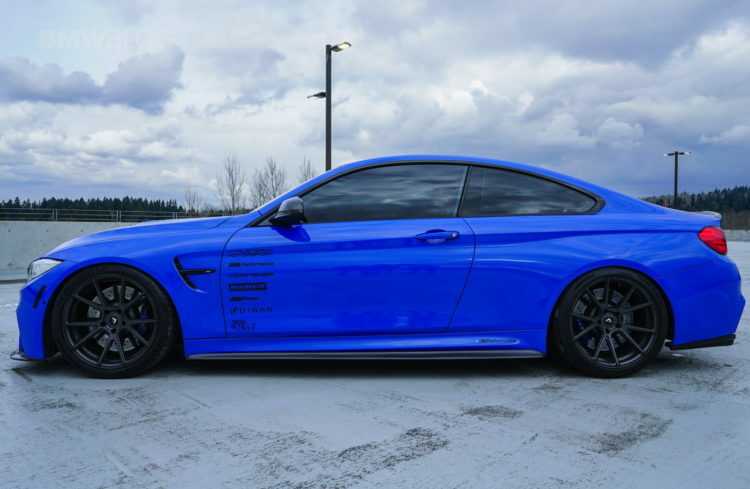 Specializing in BMW’s, their performance parts are sold through BMW dealerships as well as high-end independent auto shops, and is in fact the only high performance aftermarket upgrade authorized and even supported by BMW itself. This means you can upgrade your BMW’s already impressive performance with confidence, knowing that your factory warranty still remains in full effect. 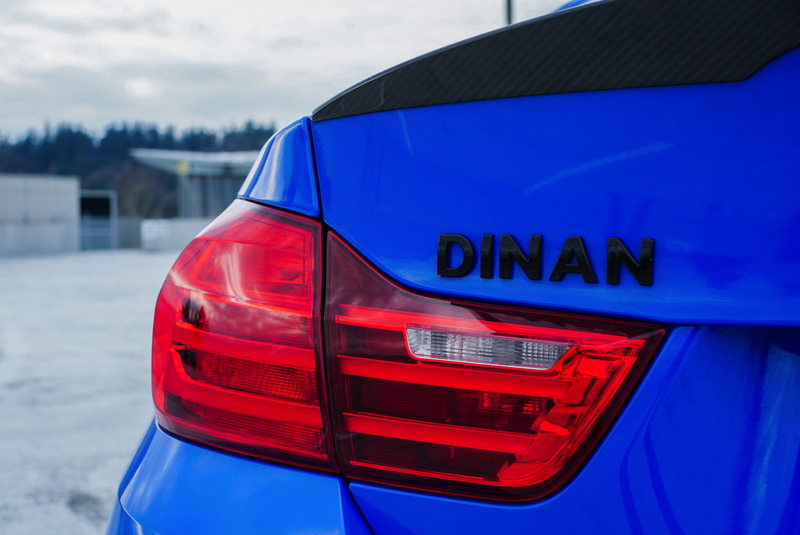 Back to that DINAN badge – you can’t buy one. That’s because DINAN send you one once your BMW (or MINI) has hit the magical 10-point mark. Basically, each performance upgrade you make from DINAN, be it intake, exhaust, software, supercharger, wheels, etc. helps you to accrue points. Different upgrades are worth different point values. Get the DINAN engine software upgrade, intake, exhaust and some rear shock tower brakes, boom, you’ve upgraded your BMW enough to merit that DINAN badge. So drivers beware – you see a DINAN BMW on the roads, you’d better think twice before challenging it to a friendly sprint! And there you have it! 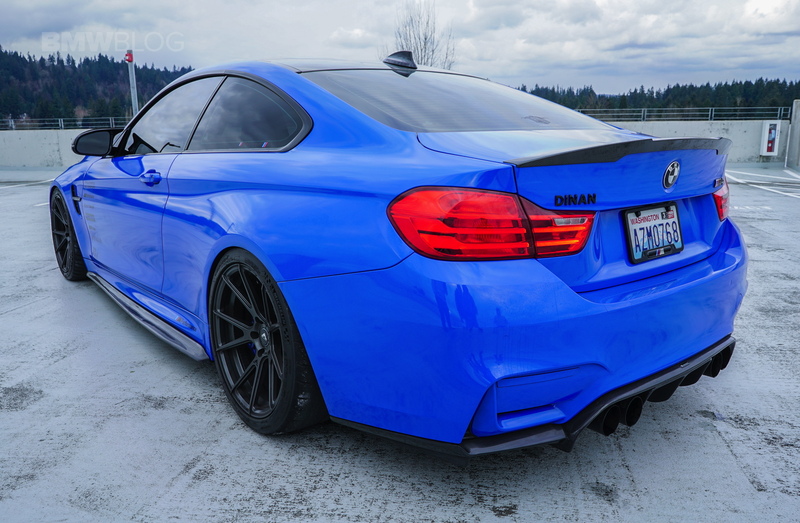 A masterfully upgraded DINAN M4 owned by a proper M enthusiast. Catch Robby on Instagram @seattlem4 and of course be sure to check out the photo gallery below. 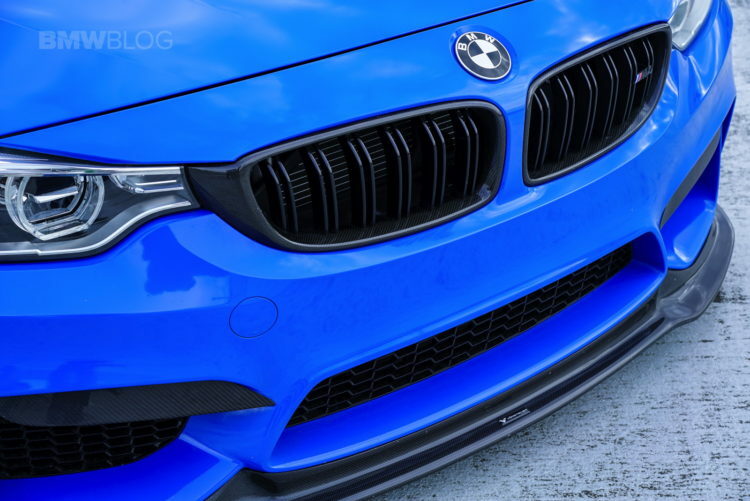 Follow me on Instagram as well @jamesbachici and of course @bmwblog for additional content. Leave us your questions in the comments section and we’ll catch you next time!